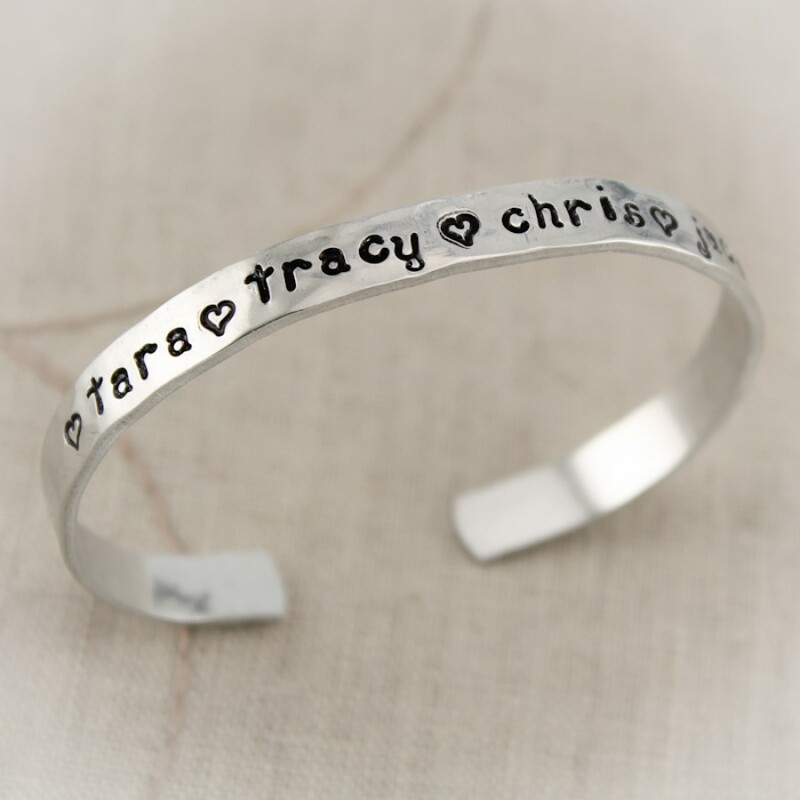 Hammered aluminum cuff bracelet hand stamped with your choice of words. 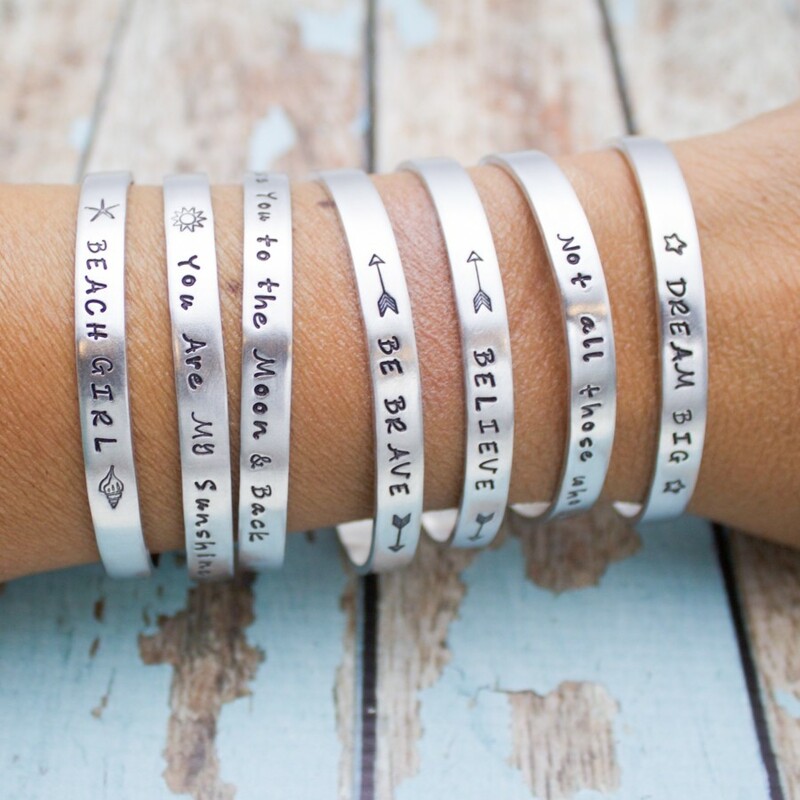 List your family members or the favorite saying of your choice. 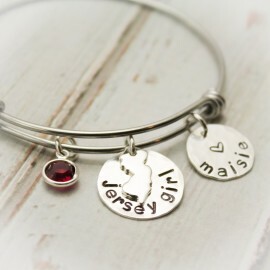 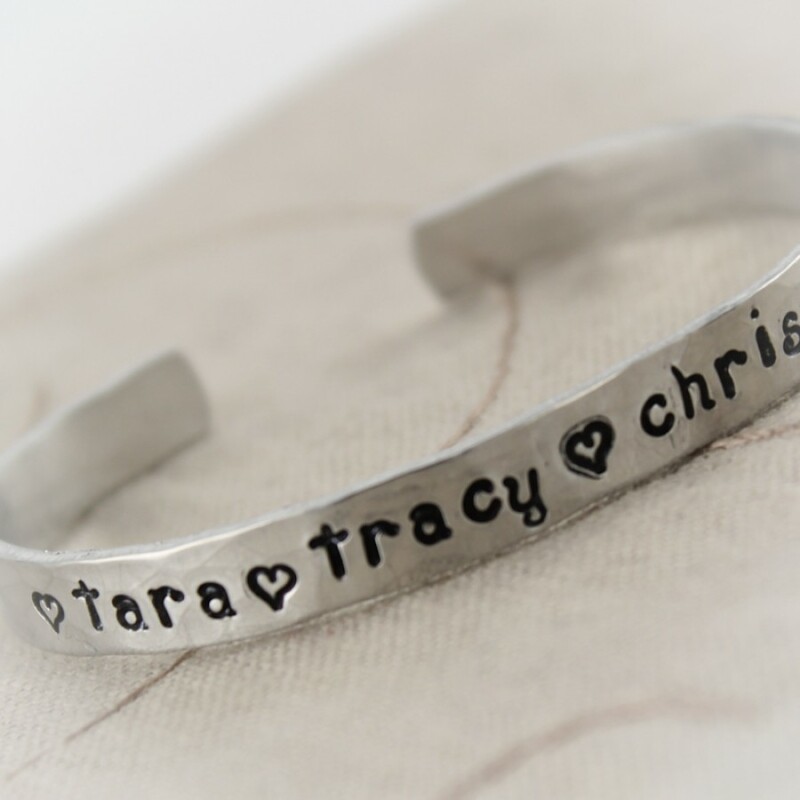 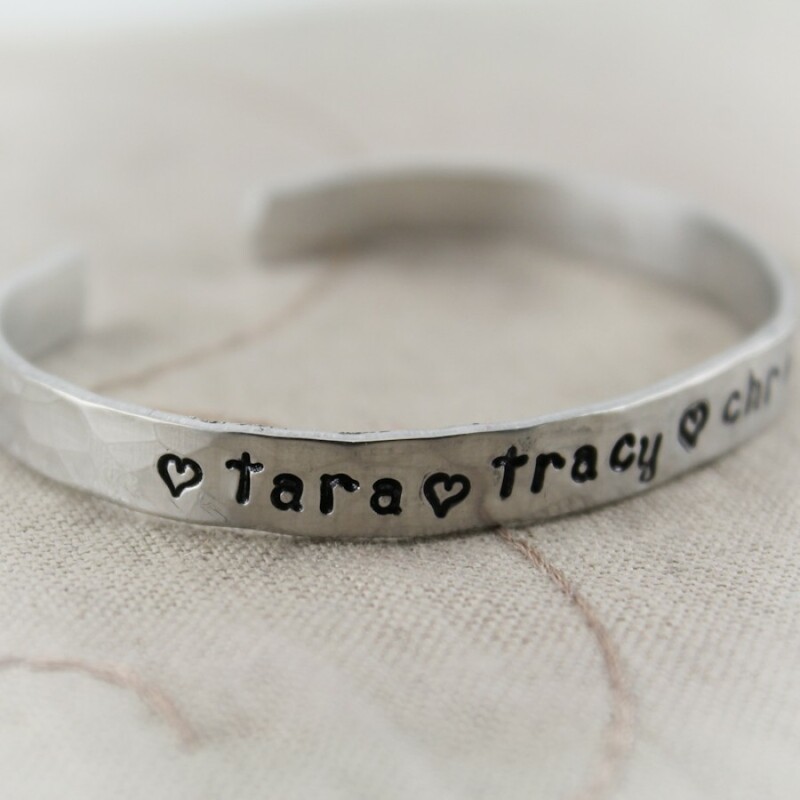 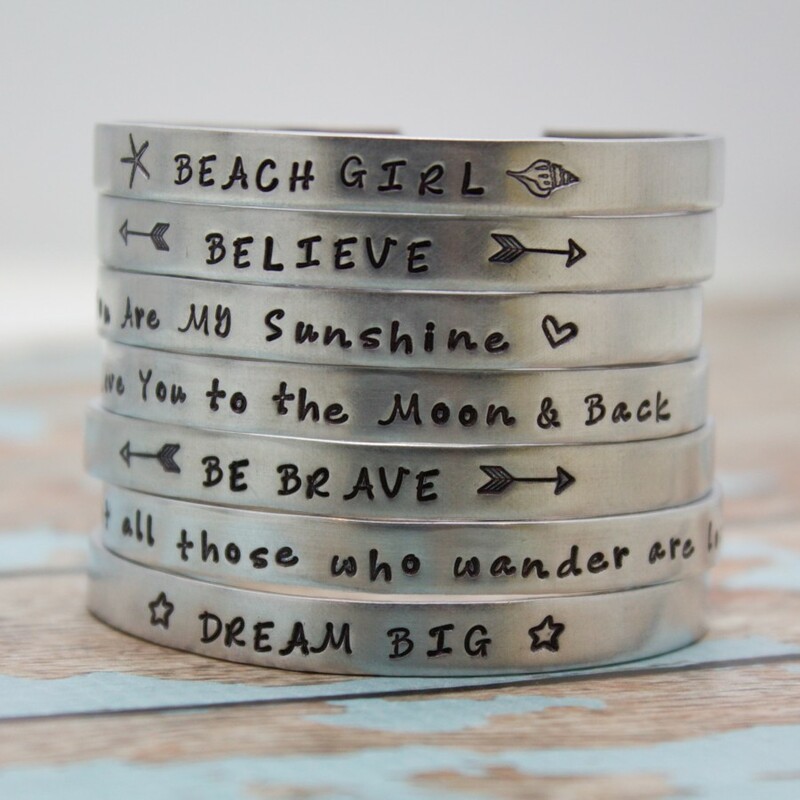 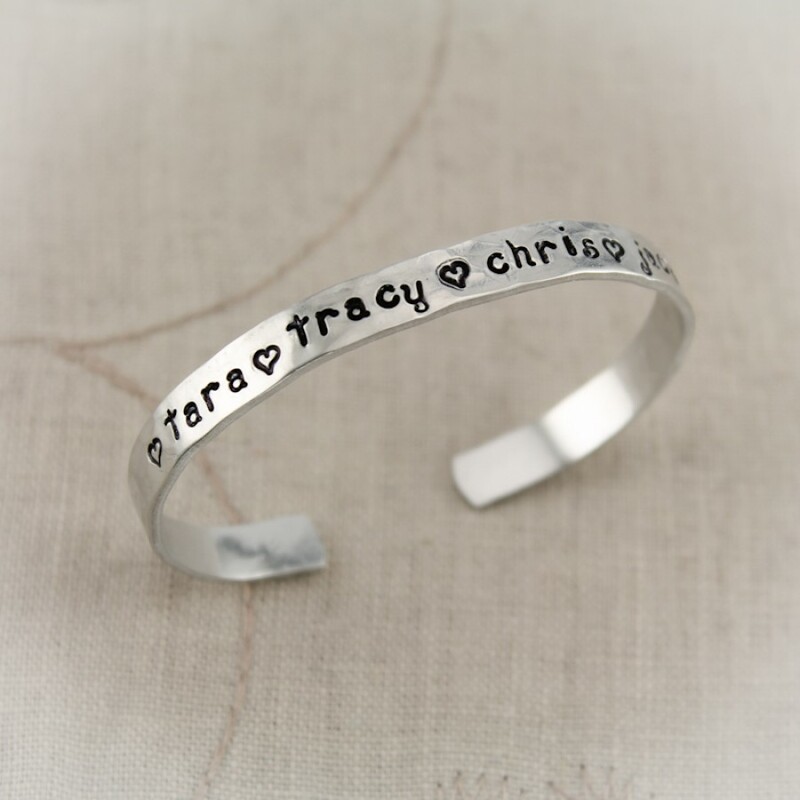 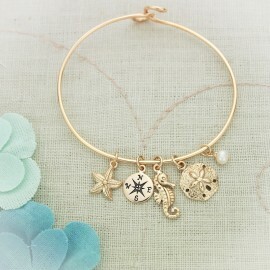 Only one line of personalization will fit on this bangle. Aluminum is a great alternative to silver. 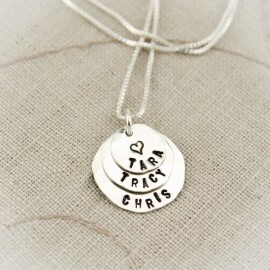 It never tarnishes and is so lightweight, you hardly know you are wearing it. 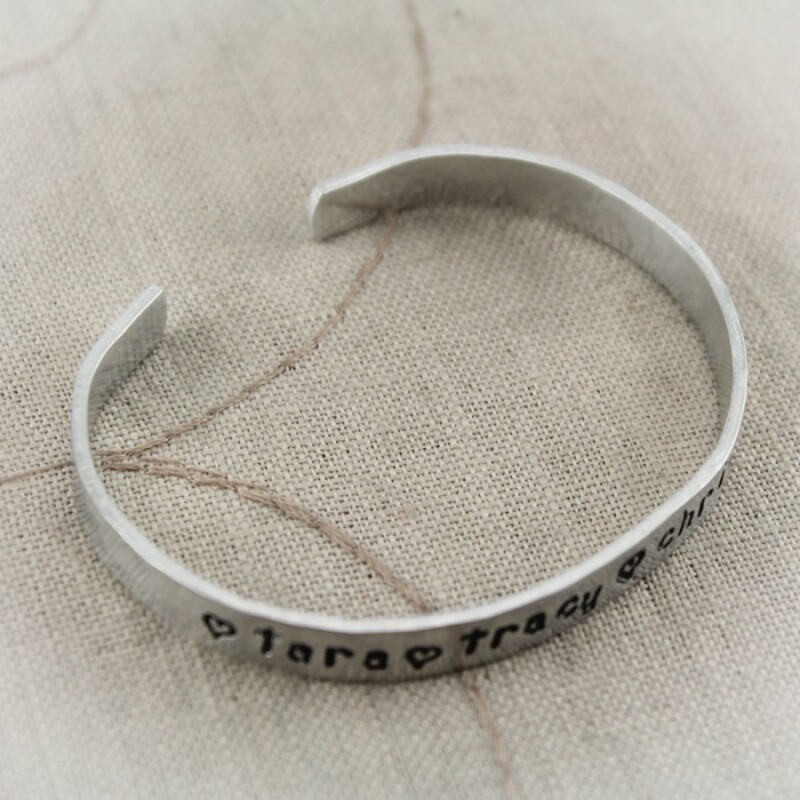 Cuff is 1/4" wide by 6" long, 14 gauge aluminum. 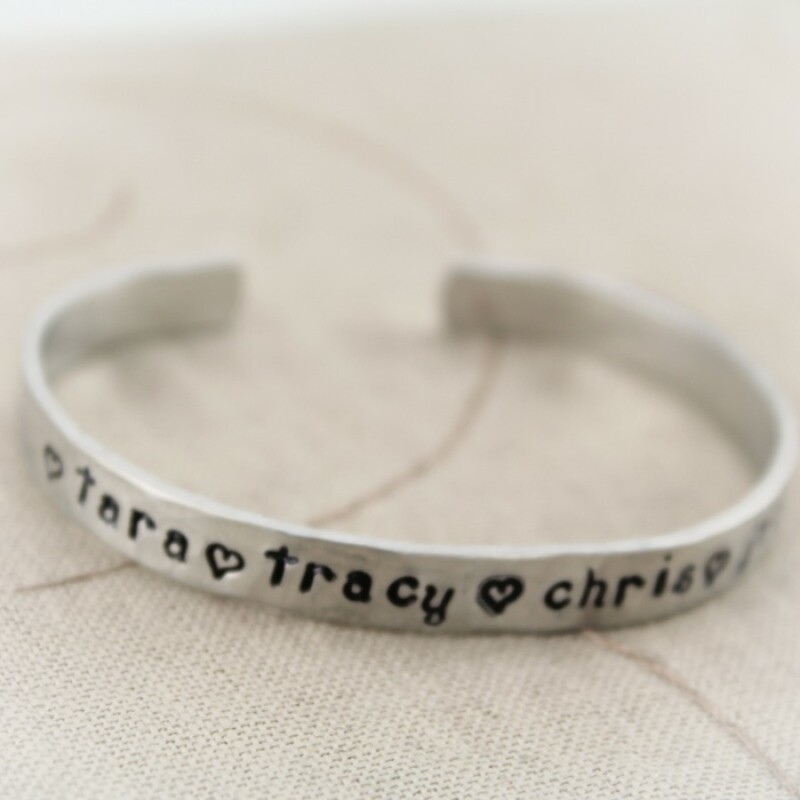 It is adjustable and will fit wrists up to 7-1/2 inches. 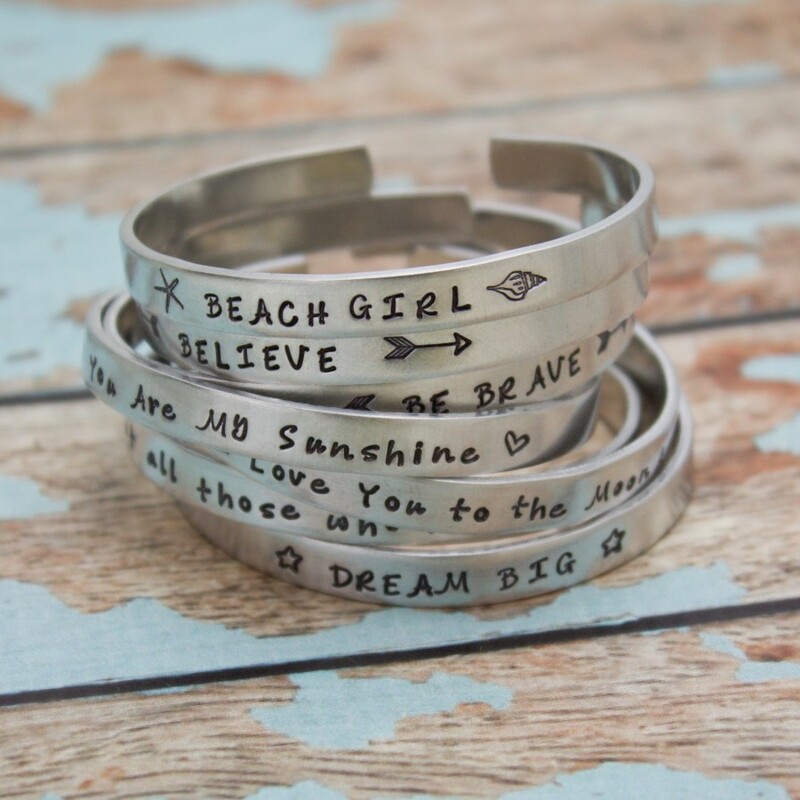 All letters will be lower case in kismet font or designer hand.